Looking for something to do over the Memorial Day weekend? There are many great kid-friendly weekend getaways that are a short commute from the Bay area! Whether you are looking for ocean or mountain fun, you can find it all close by! The Petrified Forest – Take a hike through The Petrified Forest where kids will be amazed to see trees of stone. Old Faithful Geyser – Enjoy the wonders of nature’s geyser eruptions while also visiting the petting zoo and picnicking. Wineries – Contrary to what people may think, many wineries in Napa are family friendly and welcoming to children. Examples include Sterling Vineyards in Calistoga which has a gondola and Clos Pegase which has gardens and picnic grounds. Napa Valley Wine Train – Older kids who can sit still for a few hours may enjoy dining on the Napa Valley Wine Train. The train ride runs approximately 36 miles roundtrip amidst beautiful scenery. Safari West – Kids three an older will enjoy a jeep tour at Safari West to see wildlife animals such as zebra and antelope. Tented cabin overnight accommodations are also available. Traintown – Kids who love trains will enjoy visiting Traintown in Sonoma where they can take a train to a petting zoo and play town area as well as going on other rides. Sports – Wine country is a great area for biking, horseback riding, golf, or hiking. Bothe State Parkjust outside Calistoga is a favorite for families. The Bay Area Discovery Museum – This is a hands-on interactive museum perfect for younger kids located at the base of the Golden Gate Bridge. On a clear day, you will be able to enjoy spectacular views of San Francisco. Slide Ranch – Slide Ranch is a working teaching farm that borders the ocean. Be sure to check out Slide Ranch on one of the family days that they hold. Your kids will be able to experience life on a working farm amidst spectacular ocean views. Muir Beach and Stinson Beach – Muir Beach is a protected inlet which makes it popular with families who are looking to swim in the water. 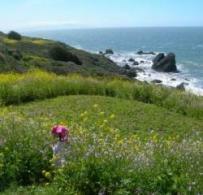 You can also hike on several trails into Golden Gate National Recreation area from the beach. If you are looking for a more expansive beach, head to Stinson Beach which is almost a mile long. Kids love walking amongst the sand dunes and there is plenty of room for exploration. Both beaches have picnic space. Mount Tamalpais State Park – On a clear day, the summit of Mount Tamalpais has great views of the Golden Gate Bridge and San Francisco. Hikes up to the summit may be tough for younger children. One easier option is to park at the East summit and hike from there. Point Reyes National Seashore and Tomales Bay – Tomales Bay is a coastal estuary with lots to do for the family. Enjoy a hiking excursion, hang out on the beach, or kayak in protected waters. Older kids may also enjoy a visit to the Point Reyes Lighthouse and Bird Observatory. Six Flags Discovery Kingdom – Check out this amusement park in Vallejo if you are looking for a place with lots of rides, shows and animal attractions. Head approximately 2.5 hours south to the Monterey Peninsula and Big Sur for beaches, walks and magnificent ocean views. See bigbluetrunk’s 11 Fun Things to Do With Kids in Carmel and Monterey for some suggestions. Roaring Camp Railroads – Kids will enjoy taking a steam train ride through the redwood forest atRoaring Camp in Felton. Another option is to board a train that takes you to the Santa Cruz boardwalk. Roaring Camp also has special event days that kids love such as Thomas the Train days in the summer or holiday light trains in the winter. Santa Cruz boardwalk – Check out the rides for all ages on the Santa Cruz boardwalk or visit a beach nearby. Swanton Berry Farm– Depending on the time of year, kids will enjoy picking berries at Swanton Berry Farms just north of Santa Cruz. They have strawberry and ollalieberry fields as well as kiwis. Beaches -– There are numerous beaches in the area including Natural Bridges State Park, Twin Lakes State Beach, and Panthers Beach. You can also drive north on Highway 1 all the way to Half Moon Bay and check out different beaches along the way. The Seymour Marine Discovery Center – This is a great place for younger children to learn about marine life through touch tanks, exhibits and aquariums. Gilroy Gardens – Located southeast of Santa Cruz, Gilroy Gardens is a great theme park for younger children. It is spacious and has lots of rides and a water play area to keep kids occupied. Capitola – Check out some casual restaurants with outdoor seating and little shops in Capitola which is nestled next to a wide beach. If you are looking for a low key camping option by the ocean, try visiting Costanoa which is located approximately an hour south of San Francisco off Highway 1. They have lodging options ranging from camping to cabins to hotel rooms. It is a great way to introduce your kids to camping or partake in aspects of camping such as cooking your food outside without actually having to pitch a tent. From Costanoa, you can easily head south towards Santa Cruz and stop for lunch in Davenport or head north towards Half Moon Bay and stop in Pescadero for berry picking at Phipps or to try Duarte’s Tavern’sfamous artichoke soup and pies. If you are visiting the area from mid-December to March, consider visiting Ano Nuevo State Reserve to see elephant seals during breeding season.